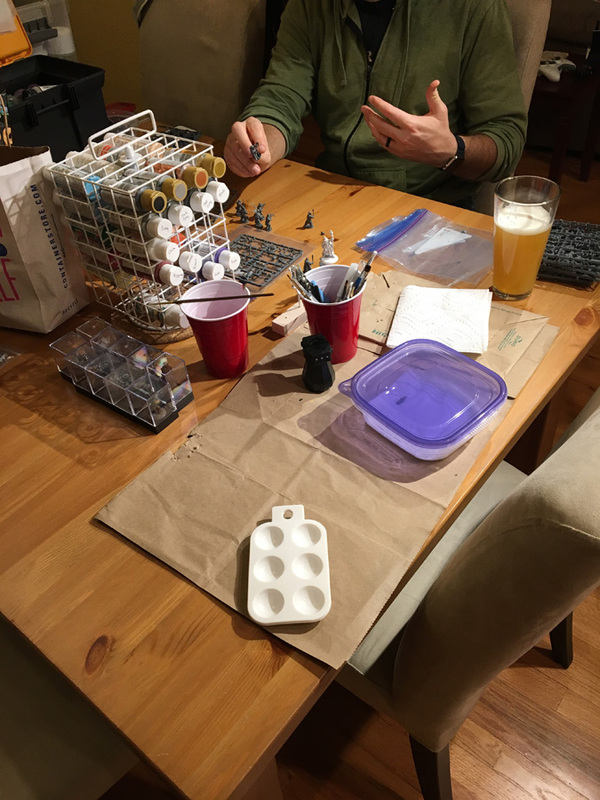 After a few false starts with my new airbrush, I finally had everything ready to go and was going to use a production-style process to finish up a batch of Frostgrave treasure chests. I picked up a water trap (thanks Russ!) 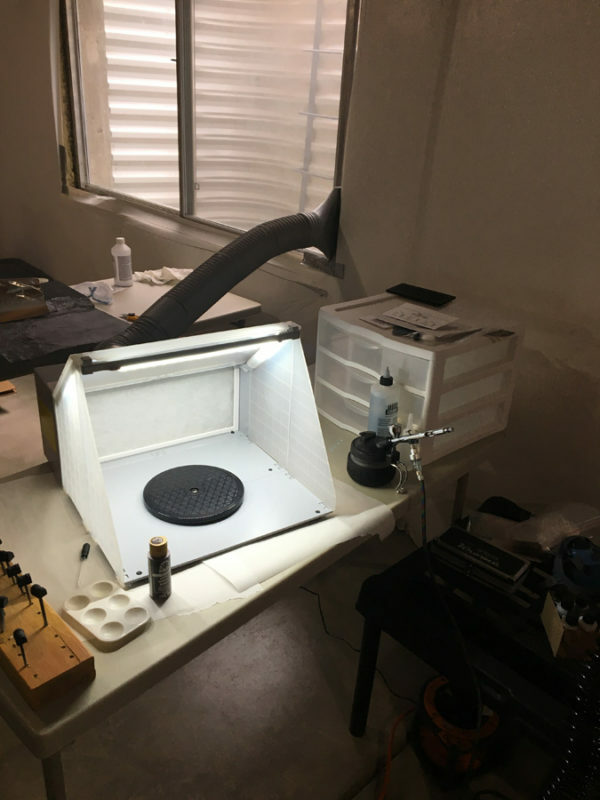 and figured out the correct fittings for everything so it was time to set up the paint area. 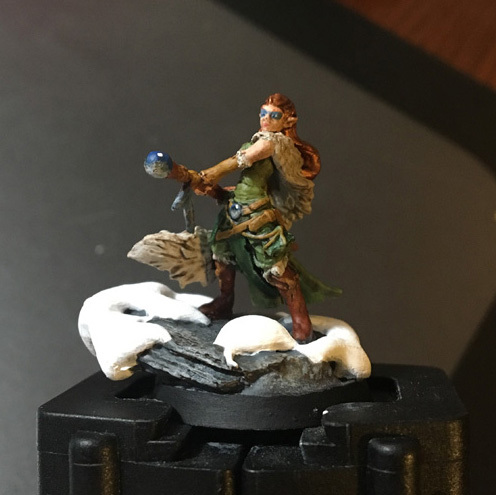 After months of planning and painting, my group started up our first venture into Frostgrave. It was a compromise on many levels but the group is nothing if not good sports and we set our date and stuck to it last weekend. 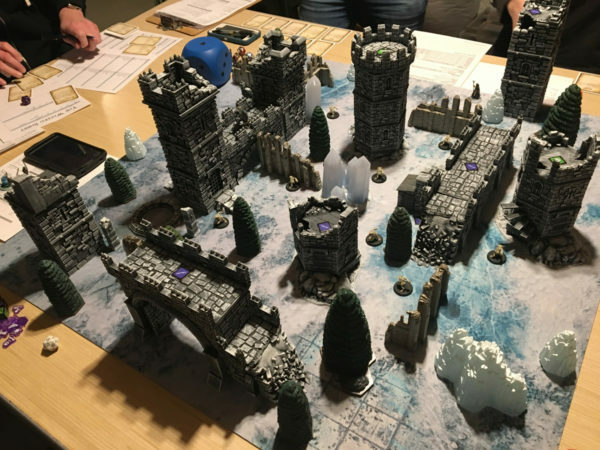 Six of us ultimately ended up in the campaign and this presented a slight challenge as there were quite a few that were brand new to Frostgrave and even brand new to tabletop minis in general. To ease everyone in, I concocted a simple intro scenario to bring us all together and get everyone on the same footing. 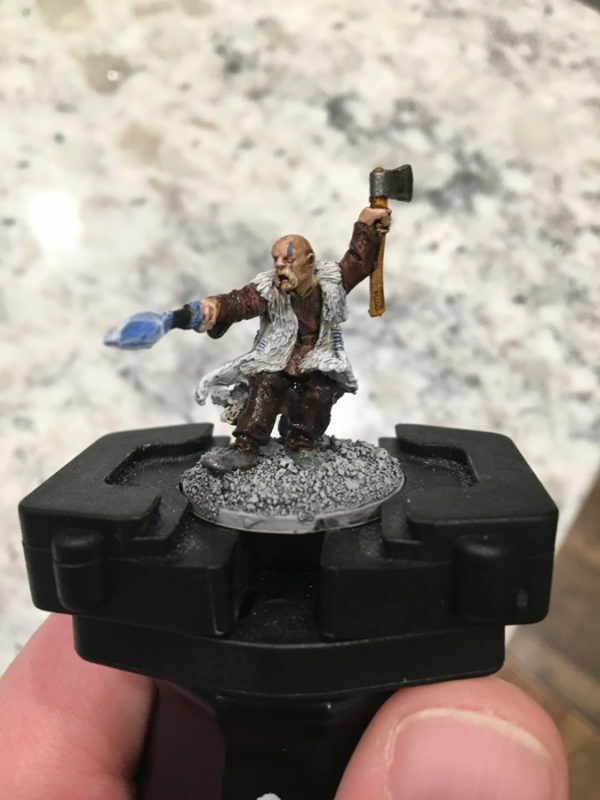 With our first game of Frostgrave hitting over the weekend, I spent last week finalizing the warband I had left. I only had to get through my Apprentice and Wizard. The Apprentice was pretty easy and I was pleased to see that his custom wand worked out. I had this plan to put up this 2018 recap with charts and graphs but that felt a little too much for the first full work week back. I’ll push that back a little bit so instead, I have some pics from another group painting session. Like last time, my friend Reese hosted and three of us hung out, slapped paint down, and ate some good food. So with Tog suiting up, I needed to get the rest of my team in order. 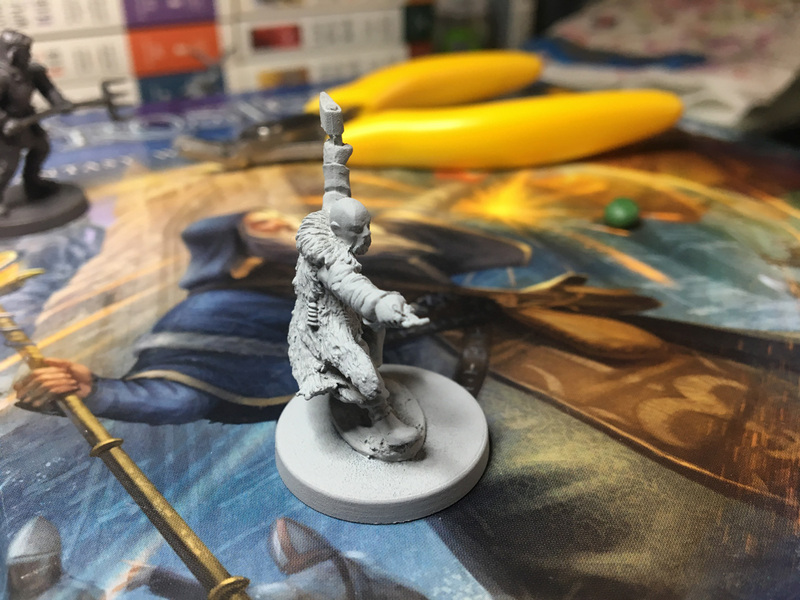 Our group decided to go easy on the first few Frostgrave sessions so we’re only pulling from the core rulebook. My original warband had a Captain but those don’t appear until later so I came up with a different group. 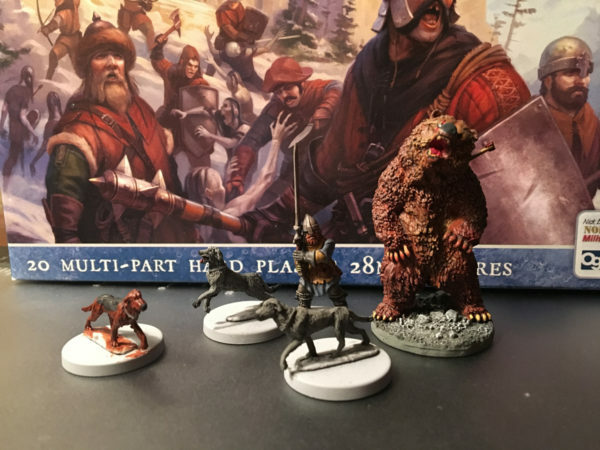 This weekend, we got together for another painting bash to put together more Frostgrave figures. This time I focused on painting up some of the wildlife my warband will include. As I mentioned on Friday, we had an intro to painting session with a friend that has decided to join the hobby fold. He’s been on the sidelines, listening in, but now he’s ready to get into the game. 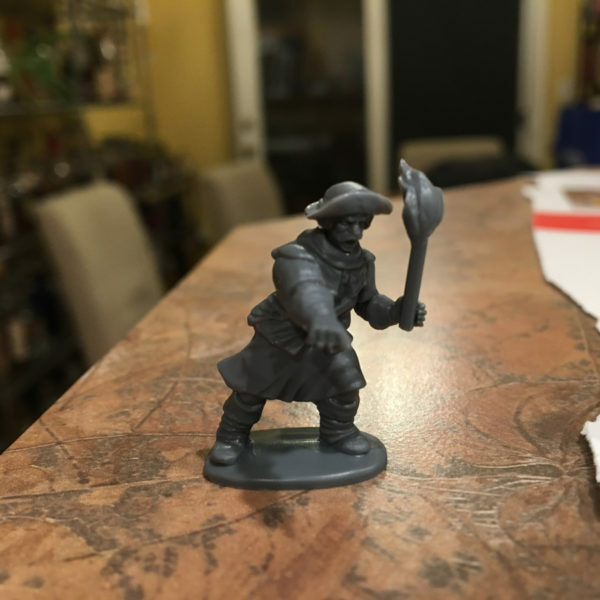 I decided to start from scratch so we first put together a mini from the North Star Frostgrave Soldiers set and then dove in with the two models I assembled/primed earlier.